All these changes help participants to be more engaged in their own learning, and derive more value from this seminar. Our seminar combines with the real-life experience of our facilitators to provide some of the best training value available! We will show you how to radically improve the performance and quality of the work of your team and organization. The United States Department of Defense Command and Control Research Program has published a short (10 pages) paper on the concept of Agility (by David S. Alberts) and the need for Agility for Complex Endeavors. Lots of fabulous thinking has gone into this paper which is loaded with useful definitions, useful concepts and advice about where we need to go with research. I STRONGLY recommend taking twenty minutes and reading it right now. Now that you have read it… no? … go read it! You don’t have an excuse – you’re reading my blog aren’t you?! We are no longer in the Information Age. I _love_ this concept. It gels well with what I am doing with agile in organizations, it gels with what I am doing in my volunteer work as a Baha’i. It gels well with my limited media-filtered understanding of what is going on in the world of ecology, economics, and politics. unlimited possibilities… unleashed for the ways individuals and organizations can connect and work with one another. These interactions have profoundly changed our world, presenting both a set of challenges as well as providing new opportunities. This means that ways of working with these connections (skills, processes and technology) are going to become the keys to unlocking the potential of this Age. Mr. Alberts claims “Agility is a latent property, a potential that remains dormant until it is manifested and its power released.” (p. 9). This is incorrect. Agility can be and is an active property, not latent. 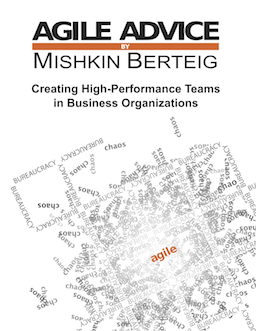 Agility is manifested actively by running short-term experiments, options analysis, executing work using just-in-time principles, and systematically incorporating experience into a body of knowledge and habits that further enhance Agility. Thanks to Dan Mezick for the link to this excellent paper via the PMIAgile Yahoo! Group. OpenAgile is a system that helps individuals, teams and organization deliberately build the capabilities to demonstrate Agility, regardless of industry, affiliation, or context.